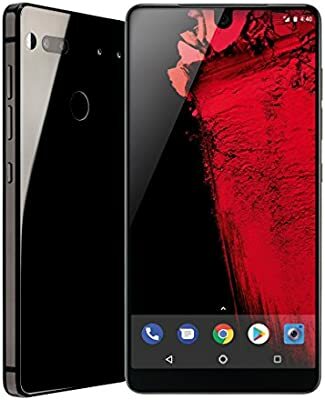 Essential has started rolling out the Android 8.1 Oreo update to Essential phone users. The company is skipping the Android 8.0 just as it promised last year and rolling out the Android 8.1 Oreo update instead. The update is actually in a beta form so if you happen to be using the Android 8.0 beta build then you can easily upgrade to the new Android 8.1 via OTA (Over The Air), Otherwise, you'll have to download the file from Essential's website and flash it manually on your smartphone. The new update comes with some new features and improvements such as smart text selection, instant apps, picture-in-picture, as well as faster startup and app sign-in. It also contains the latest February security patch, dynamic Calendar and Clock icons, and slow scrolling jitter fix. The update is just about 500MB but make sure you have enough free storage space as well as a good internet connection before you proceed with the update. Remember that this is still a beta build and you may experience some bugs. There is no official statement yet on when the stable version will be released.